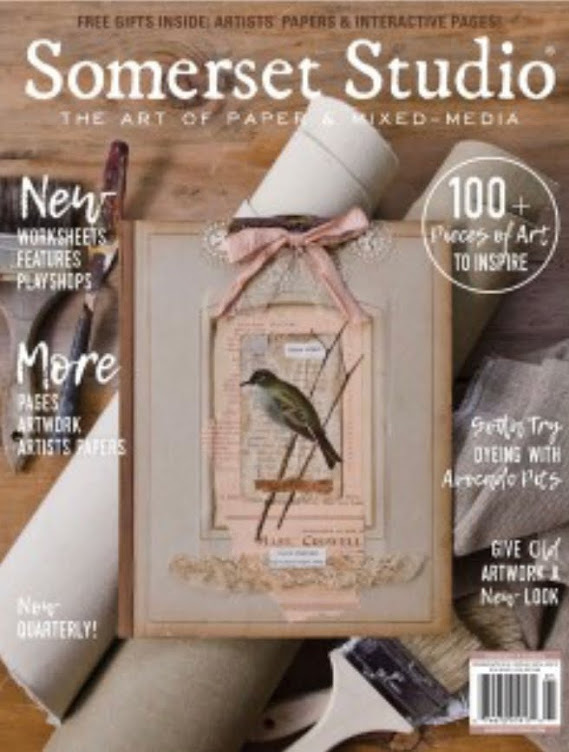 I'm thrilled to be the Guest Designer today on the PaperArtsy Blog!!! 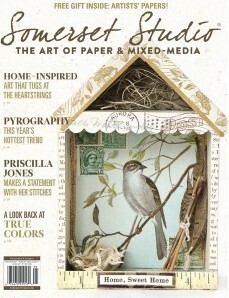 Want to know what I did with these gorgeous stamps from Lynne Perrella??? And are these colors amazing, or what? 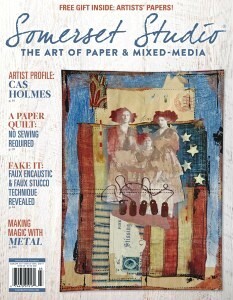 Grunge Paste, Crackle Medium, Paint, Stencils, Stamping.......here's a peek! Jump on over there and see a Tutorial on a Triptych Project. 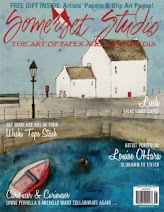 There's a challenge to WIN stamps from PaperArtsy, too! Just a 5x5 canvas with stamps, paint, pens and paper. I used Glue-n-Seal to add Tissue Paper to a canvas. Then I added translucent stencil paste over a stencil with large numbers. Last add some Distress Inks, Markers, and stamps with paints and inks. All done in an hour....just jump in and DO it! Check out the links to Inspiration Emporium and use my code iecain81 for 10% off your order. Number One Granddaughter is a Dr. Who Enthusiast. And her birthday is this month..... I had this fold out cabinet box from Ben Franklin...the ONLY one left...and the store closed. So, I decided to give this ideas a shot. It folds up like this. I know the squares are supposed to be recessed, but I was under a time constraint, and this worked out for me. I copied the sign and printed it off, and the keyhole is a washer. Two mini canvases on the the top helped build up the box. The light was my biggest problem...but it turned out interesting, if not exactly like the original. The Vintaj piece is bent to go around it and the snap button on top says Imagine on it. No idea where it came from. You pull open the front and it has 4 drawers inside covered with Graphic 45 papers. Each box has a magnetic clasp and they open up to store treasures. It fit perfectly onto a wooden base I found at Lowe's. I think it's a fence post piece. It's amazing what you can find in all the drawers in my studio...half the fun is making something work that wasn't designed for the purpose you've given it. I've had a pile of Eclectic Elements fabric for ages....for some reason, I ordered the fat eighths thinking I'd cut them up and piece them together for a wall hanging. After a shopping trip to Hobby Lobby and seeing all the cool oblong pillows they had, I decided to give it a go and make one of my own. This side has a piece from the Melange Collection of fat eighths...it worked perfectly! I grabbed 3 bags of stuffing and took off to go "design." I knew the 1/8s would need to be enlarged, so I started cutting 2" strips of 2 different patterns for the side pieces. This one's from Documentation, too. After trimming to 2 main pieces to the same size, adding the side strips was easy. The Leur de Froment with Butterflies and Moths is one of my favorites, so it is the front of my pillow. This piece is from the Melange Collection. I'll use it at my computer chair to help correct my horrible posture when I'm working on the computer. It really helps to keep me from bending forward...whatever works! I'm still hoping to get to a wall hanging project....so watch this space if you'd like to see one of those from these great fabrics! You can get the fat 1/8s from Inspiration Emporium, they're in stock right now, and don't forget to use my code iecain81 for 10% off your order. Two of my favorite things combined into a great project! Whenever you photograph metal, it's always difficult to get a good shot without a lot of glare. So I tried a white background and a black one. I'm not sure which one I like better, so I shared both! The legs of the Santos are covered with strips of Metal foil that's been embossed with the Gears embossing folder and then colored with Alcohol Inks. The bodice is the same, but I also added some Fresco Paints. The base and gears are painted and stamped. I also added some Treasure Gold to the edges. This shows the base with a Clock Key and the Large Brass Key with Wings Charm hanging from the center of the top base with jump rings. In checking out the Steampunk sites for ideas, I saw a bracelet with this exact Octopus on it, so I added it to the base. The Lady is from Graphic 45's Steampunk Spells-Vintage Voyage 12x12 sheet. I added lots of little watch gears to the hat and a couple to her cheeks. I LOVE how the Wings turned out with the Gold, Platinum, Bronze and Black Ultra Thick Embossing Powders on them. Her arms are supposed to be Fish Net gloves....probably should have used a smaller stamp, but this works. The Heart is a flea market find with some gold Sharpie added to change the color from silver to gold. This shot shows how cool the Octopus really is. Sometimes You Just Have to Go BIG! This months Challenge with Inspiration Emporium is CELEBRATE! I decided to go for a big with a #12 Manila Tag here that could be used for Father's Day. I started with lots of Distress Stains on the tag. While it's still wet, I spritzed it with water to let them blend and bleed. When dry I added stamps from the new Purveyor Set with Sepia, Red Geranium, Jet Black, and Watering Can Archival Inks, Pine Needles Distress Ink, and Picket Fence Distress Paint. Then I grabbed my "go to" set of Mixed Media stamps and added the Chicken Wire and Sequin Waste stamps. More stamping with black archival ink for the main images. I cut a piece of plain chipboard about 1/4 inch larger than the tag, painted the edges with Tarnished Brass Distress Paint and layered the tag onto it. A few more images from the Purveyor set are roll stamped in the next layer. Stenciling with Chevron and Checker stencils and Metallic Gold and Black Embossing Paste are last. Just punch a hole and tie the Linen Ribbon at the top. 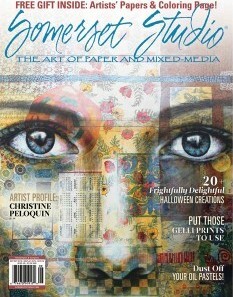 Check out the links above for Inspiration Emporium and enter the May's Monthly Challenge - Celebrate. Use my code iecain81 for 10% off your order! 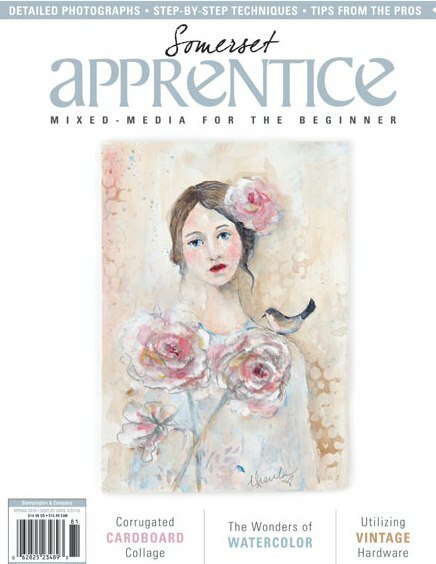 They are from the talented Dina Wakley collections Textures, Face in the Crowd, and Collaged Hearts. Lots of layers of paint, stamps, and pens. I gave this to my daughter as it reminds me of her and what a great Mom she is. Check out the links and don't forget to use my code iecain81 for 10% discount when ordering from Inspiration Emporium. We had Spring for about 2 days, and now it's Summer....81 degrees before noon. I've been trying to work in the garden and loving every minute of it, until it gets really hot...I'm not a hot and humid person. So why do I live in the Midwest??? But last night I got to sit down and relax and play. This is a Stand Up Steampunk Cameo Woman from Retro Cafe Art Gallery's great Coffee Break Designs...I call her Gear Head Lady! The Antique Brass Large Key with Wings is such a cool piece to just sit with the Lady. I base paint with a light colored Fresco Paint and then added purples and blues with foam squares blending as I go. The Gear Gem from 7Gypsies fit perfectly here.. The cool Tim Holtz Heart Charm is just glued in place....love it! The base is stamped with Majestic Blue Versafine Ink. The contrast is amazing! I've had these Mambly Screen Print Rub Ons for years...and they were a bit fragile...but they were perfect for this lady. I cut several of them apart to create her eye, necklace, and design on her shoulders and head. The White Sharpie pen filled in spots and added some dots on the painted Gears. Check out the links and get going! 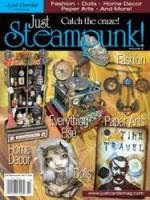 This Steampunk lady is so fun and easy to put together!!! 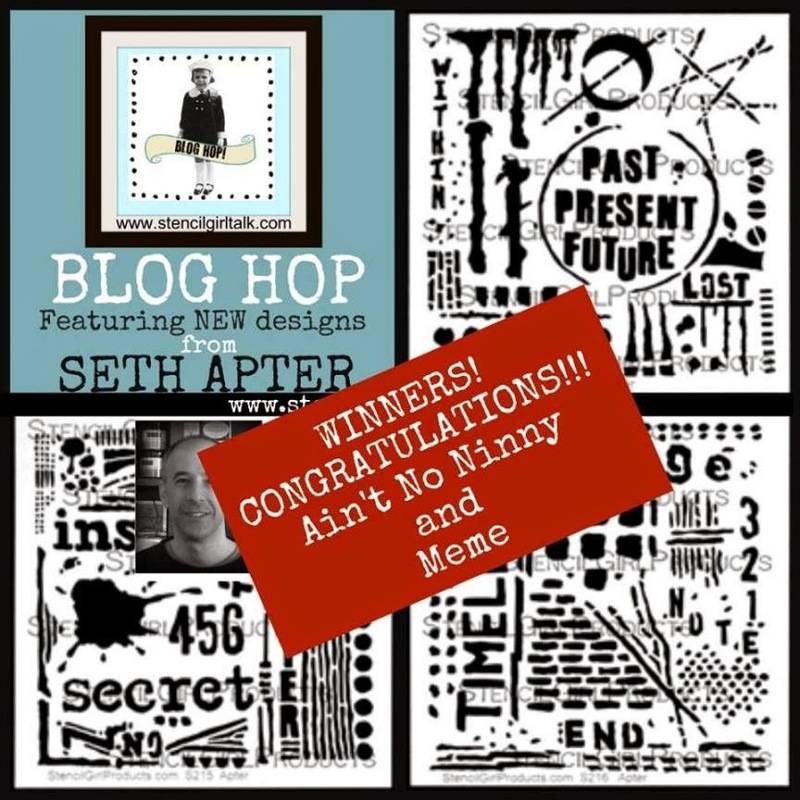 Here is the announcement for the Winners of Seth Apter's Stencils.